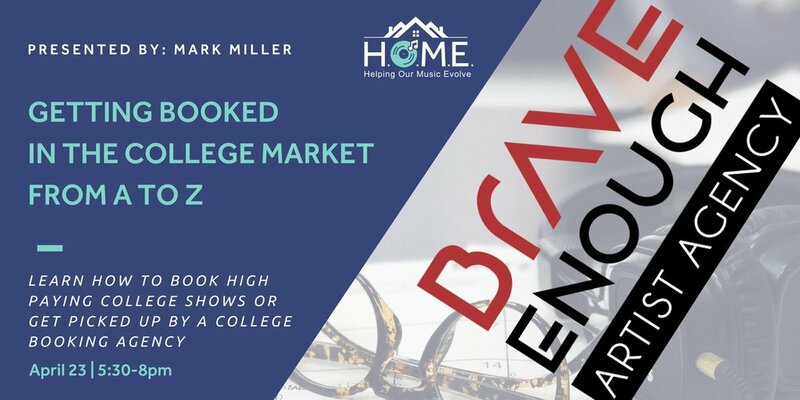 Mark Miller made his living as a self-repped indie pop duo in NACA ($120k from shows in 2015 alone) before launching his own college agency, Brave Enough Artist Agency, in 2016. His agency now represents over 35 artists and was just voted the APCA National Agency of the Year 2019. In this session, Mark will explain the ins and outs of how to get booked at colleges through NACA and APCA. Learn how to get showcases, get picked up by college agencies, or tackle the market on your own and find success!